Last month, Upside Motion held its 19 Before 19 Festive Challenge. Around 70 challengers entered and out of all of them, two strong and lovely ladies, Jennifer and Dira finished first and second respectively! 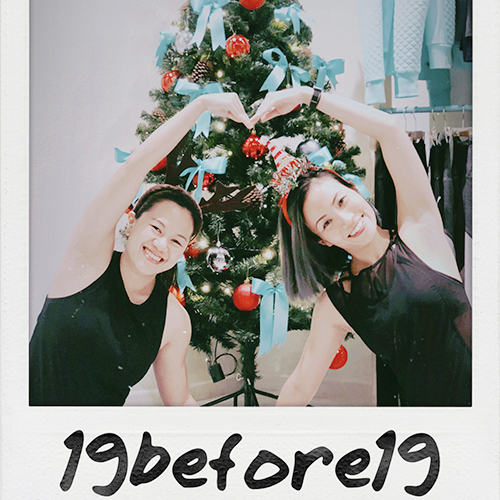 Read about their 19before19 story and get inspired by what motivates them and how they keep their work-out-life- balance to help us set the tone for our New Year fitness goals! UM: Congratulations on finishing first (Jennifer) and second (Dirra) in our challenge! UM: Thanks for doing the challenge with us! How long have you been an Upsider? D: For me, since 29 December 2017. J: For me, since August last year! UM: Did you guys do the challenge together? D: Yeah, we did it together! Actually she (Jennifer) was the one who convinced me and we signed up together. J: I was like, yes, let's do it! We also attended most of the classes together since it's more fun that way. UM: Which classes did you take? D: We went for the Reformers, and some mat classes like Abs & Core. J: Well for me, I did almost all Pilates. D: Yeah-- except for Xtend Barre, but for me, I did Xtend Barre too! UM: What was your challenge strategy? D: We wanted to do at least 2 classes a day, 'cause I wanted to finish before I fly off for the holidays. J: So we did and yeah, we wanted to finish within 2 weeks. UM: And you did Pilates back to back! How did that feel? J: Yeah, the start was a struggle but after a while, our bodies got used to it, and because different instructors work or focus on different parts, so, for instance, I'm doing Abs & Core, then later, I'll do Reformer---so it's a full body work-out. UM: Do you guys have a favorite class? D: I like the Reformer. Xtend Barre is fun too---for some cardio element. J: Abs & Core and Reformer. UM: How were you able to balance the challenge well---with work, and other things? D: Thankfully our schedules are quite flexible--- we can do at least 2 classes a day. J: Now, we're also doing a project together so it's quite easy to do it together. We can go to work slightly later and go to classes first. We go to classes in the morning, and then go to work together! That's what makes it a lot easier, because if you do it towards the end of the day, I think you'll be quite tired. UM: Do you guys work at the same place? J: Same company but it has different branches, but we have a project together. We were colleagues, that's why, together we thought, okay, let's go and get fit! This is like our first step towards our goal. J: Yeah that's the main goal----look skinnier! UM: How's the experience like doing it together? UM: Have you started seeing any differences in your body? J: My waist got smaller! I think after a week of Pilates, you can really see the difference. It was quite an intense two-week so the results are quite fast and obvious! J: We also have a better awareness of the body. For me, I have issues with my balance so Lynda gave me exercises on how to help work on it. UM: We've noticed you still go to the classes! It seems you've developed a routine around your fitness and you still keep coming to the classes and it didn't end with the challenge. This is wonderful! J: Actually, we wanted to do Pilates Teacher training next year so... it's something that we will explore together next year! UM: In other aspects like nutrition, sleep---did you become more mindful of these things too? D: Well, she's already a health freak! (laughs) She doesn't eat fast food, so whenever I have lunch with her, it's always healthy stuff, so yeah, it's a good thing when I hang out with her. J: That's the thing, I don't really eat fast food. D: She reminds me to have my protein after every class, like drink chocolate milk, so yeah I think we've been quite healthy. J: Healthier---more conscious of what we put in our bodies. UM: Okay, is there any guilty pleasure? D: When we buy a cake, they also give a free drink with every purchase! J: Yeah, we think, okay, we deserve a treat and then we got a chocolate cake to share for our last class. UM: Do you feel you need to eat more after you work-out so much? D: Sometimes, yeah, I do get really hungry, I try to fill it with something filling, not just random snacks. UM: What inspires you to work-out regularly? D: Actually - to feel healthy. Just to feel good about yourself and that you are doing something for yourself everyday. Just to put that 1.5 hours for yourself. Then at the end of the year, you feel you're so much stronger, so much fitter than when you started. Like when I started 29th of December, that was the day I felt I was going to exercise. My first class was a Reformer class in City Hall. UM: You guys were already working out before? D: Our schedules really aligned. UM: Really aligned at the right time! Do you guys have any tips for all the challengers who are still finishing? J: Just do it! It's really not that difficult! J: Just set aside one hour a day, and that's really achievable! D: Your body is stronger than you think. It will hurt now, but tomorrow, not so bad, and the day after, not so bad, and the day after, maybe not at all. J: Yeah, you just dedicate that one hour to focus on yourself and your well-being, I think that's it. UM: So great, it's very inspiring! We love hearing your stories and are happy for your first and second place finishes! Thank you so much ladies!